SS 316 Horizontal Centrifugal Pumps, PP Centrifugal Pump Manufacturers, Ahmedabad, Gujarat, India.
" Complete SS 316 Horizontal centrifugal pumps with High head, High discharge design. Hydraulically balance impeller gives better economy and lower power consumption. " Complete SS 316 Horizontal centrifugal pumps with High head, High discharge design. 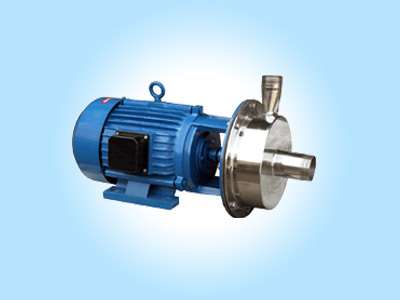 Hydraulically balance impeller gives better economy and lower power consumption. Sealing arrangement by Carbon v/s Ceramic Mech. Seal, which compatible with almost all liquids. Special seal or gland packing can be supplied on request. Ideally suitable for chemical transfer from underground to overhead tank, unloading from tanker, washing and cleaning of parts, Food and dairy products, beverages etc.